Designed to initiate rapid controlled expansion to quickly stop the threat. Designed to maximize retained weight for consistent terminal performance through a variety of demanding barriers. Maximizes penetration even after encountering a difficult barrier such as auto glass. Crimped primer and cap/mouth sealant. 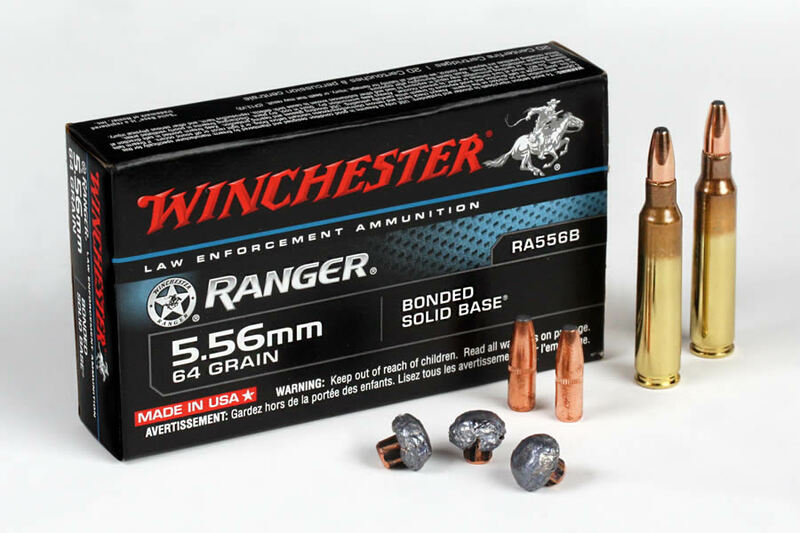 I bought a box of this to test as an alternative to the Speer 64gr Gold Dot. The platform used for testing was a 10" SCAR 16. The optic used in accuracy testing was an Aimpoint t-1 with a 3x magnifier. Based on what the 64gr gold dot chronoed atyes, it was .223 and not 5.56. I was unable to get any loaded to 5.56 pressures, which was 2350 fps out of a 10" barrel, I was hoping to get at least 2400 out of the RA556B. To my surprise, I chronoed all 20 rounds and got an average of 2550 fps, with an extreme spread of about 25 fps, which is absolutely outstanding for a 10". To give a bit of additional reference, Federal XM193 came in at just under 2600 fps out of the same barrel, so that is about a 2% velocity loss for a 16% gain in projectile weight over XM193. On top of the excellent muzzle velocity, the projectile has a minimum expansion threshold of 1600 fps, according to Nosler projectile for this round is the Nosler 64 gr bsb. The advertised BC for this round according to Nosler is about a .231, which made it tempting to give this round a 4 instead of 5 for product performance. The reason for this would be that .231 is not an accurate number. Based on the velocity data I gathered I used a lab radar to get the velocity downrange the BC is much closer to a .19. I also verified this by measuring how much drop the bullet should have based on a .231 BC compared to how much the round actually dropped. Now with that being said, a BC of .19 with an initial muzzle velocity of 2550 still gives the round expansion all the way out to 250m, which is outstanding for a 10" barrel, but the advertised BC of .231 would have a maximum expansion distance of 300m. 50 m can mean a lot, and I'm sure most of us prefer honest advertising as well, but this is still an outstanding round, and I'm sure the FBI thought so too when they selected RA556b. The closest competitor to this round would be the M556FBIt3 offered by Federal, which uses their Trophy Bonded Bear Claw projectile. The general consensus seems to be that the TBBC has a very small edge over the 64gr BSB. However, accuracy reports of the t3 are less than stellar; from what I have gathered, most get between 3-6 moa. This is why I was very pleased with the accuracy of this round. The 10 shot group at 100m measured right at just under 2. For a 10" barrel firing a soft point, it's hard to not be pleased with a 2 moa group, especially considering what this round is capable of when it hits something with a pulse. To anyone on the fence between RA556b or the t3, I would absolutely choose RA556B. 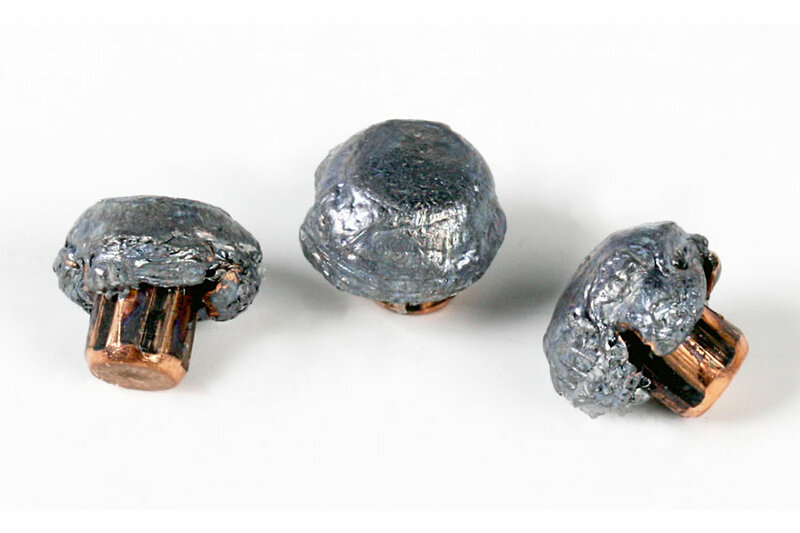 The very slight edge in terminal performance is just not worth having 1/2 - 1/3 the accuracy, and a hit in the t-box with a .22 is infinitely more effective than a complete miss with a .50 BMG.